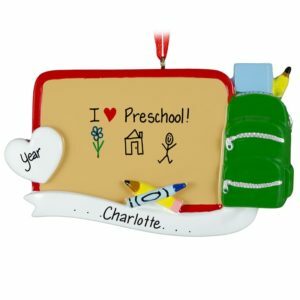 So much thought, time, and research goes into finding that perfect Preschool. 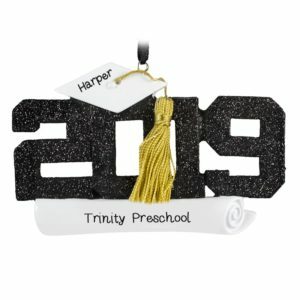 We want our young children to have every opportunity, to learn and grow. And their Preschool Teacher will be a huge influence on their little minds. Preschool Teachers teach our children the ABC’s and 123’s, how to share and listen, how to follow directions. 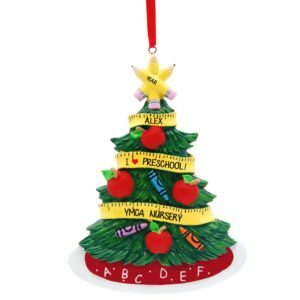 Christmas is the perfect time to let them know how much everything they do for your little one is appreciated. 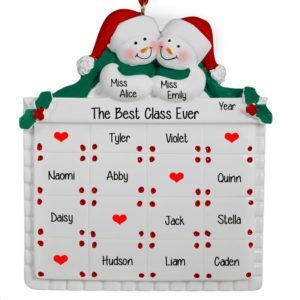 Personalized Ornaments For You has a huge selection of ornaments to choose from. 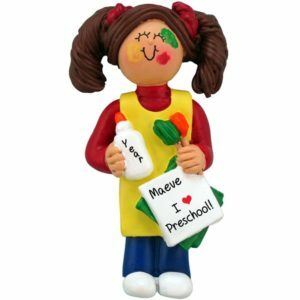 Have one of our talented artists create a unique gift that will be cherished for years to come. 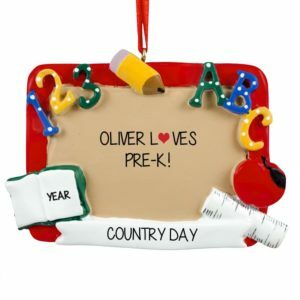 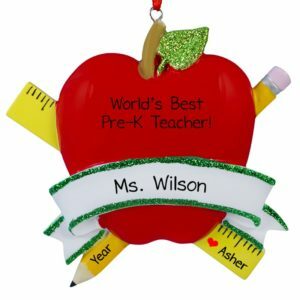 With the teacher’s name, the year, and a sweet sentiment such as “When I Count My Blessings, I Count My Teacher Twice!” your Preschool Teacher will know how much they are loved. Consider using an ornament as a gift tag tie-on for that special teacher. 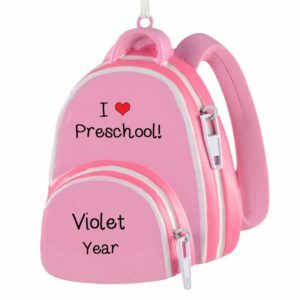 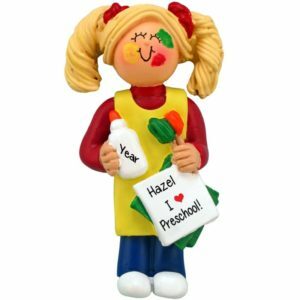 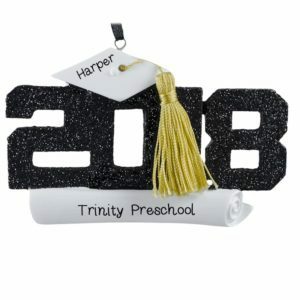 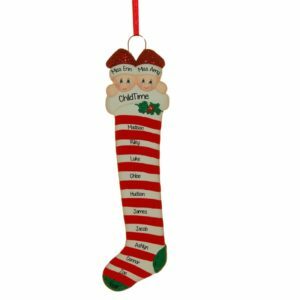 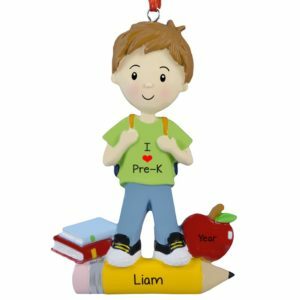 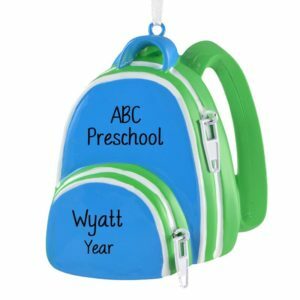 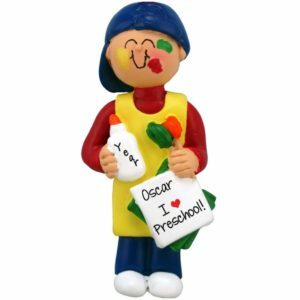 We also offer a variety of ornaments that can include the names of the entire preschool class, to create a memorable keepsake.